I didn’t have very high expectations when I launched The Division on my Xbox One Tuesday. As somebody who was and still is a massive fan of Destiny, some would argue The Division’s only competition, I know that with a game like this, a lot of things are going to be lost in translation during marketing. It’s hard to convey a game with the unique mechanics of The Division to a market that simply isn’t familiar with them, and realistically speaking, we could have easily gotten something very disappointing on release day. If you had the same concerns for The Division, then I can assure you that you don’t have to worry too much about them anymore. The launch of the game shows something that’s well-designed, well-polished, and ready to move ahead with its right foot forward. The game seems to do a admirable job marrying all of its concepts into a cohesive and satisfying experience, achieving a solid score in its narrative, tone, and overall gameplay. With that said, there are certainly a few issues and lingering concerns to have about The Division going forward. The following are the impressions of somebody who has spent a short 10 hours or so in The Division – a full review will be arriving when we’ve had a chance to really sink our teeth into the meat of this game, and discover all of its nooks and crannies. 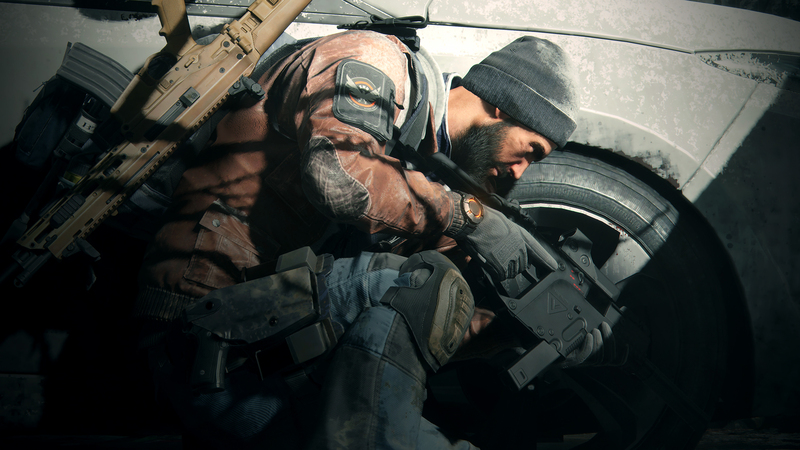 Ubisoft studios didn’t mince words when continually describing the type of gameplay The Division would offer: It’s an MMORPG shooter, and it intends to do that as well as possible. None of the mistakes made by Destiny were made here – Ubisoft didn’t tell people that an amazing story was going to be told throughout the story missions, and just focused on the fact that their gameplay was solid. It should only take you a few engagements until you decide that yes, the combat is, in fact, pretty solid. While the gunplay doesn’t feel quite as good as I’d like, I found that the tactical depth that the third person perspective, cover mechanic, and abilities present are more than enough to make up the difference. While the stats of your weapons and armor matter an immense amount, the plan you have going into a fight is the thing that’s going to make or break you, especially if you’re constructing a strategy with other players. Unlike some other shooters, enemy bullets in The Division often hit a whole lot harder than yours do, and you’re going to want to play as smart as possible. Playing slow behind cover, picking off enemies, and prioritizing targets are all extremely important here. To avoid encouraging players to sit in one spot of cover the entire fight, the folks at Ubisoft Massive have designed the AI very intelligently, making it very easy for them to overrun you if you’re overextended, and flank you if you aren’t paying attention. As a result of this aggressive AI in the game’s PvE content, players are consistently encouraged to stay mobile, keep their eyes open, and even formulate clever strategies to outflank their opponents and gain the upper hand in a hard fight. Even though I’m still relatively early on in my experience with The Division, I can clearly see that the abilities you choose to go into a fight with are crucial for playing smart and changing the course of a fight. The abilities you can choose are split into three categories: Medical, Tech, and Security. For those familiar with MMO’s, this system closely resembles the “holy trinity” you’re used to: Healer, DPS, and Tank – the only difference here is that, since everybody is DPS in The Division, they switched out the pure damage dealing role with more of a specialist. The Medical tree can heal, buff, and revive allies from across the battlefield – they make everybody around them better. Playing as a med can do a whole lot to save their teammates from an incredibly rough spot (I’ve been mainly using medical abilities so far, and I feel like the biggest asset to my team consistently.) The Tech tree is an engineer skill set, placing out things like automatic turrets, smart-grenades, and sticky bombs on the battlefield to make the enemy fight on the Technician’s terms. The Security tree keeps people safe and strong, putting up riot shields, improving cover, and even creating their own cover out of nothing in the middle of a fight. Unlike other MMO’s (Destiny included) players can mix and match from these different skill trees, and they seem to be able to unlock each one of them on one character. Mixing can also be a bit of a double-edged sword – while it may make things a bit simpler and more flexible, it also strongly discourages players from making “alts” (Secondary characters) which is something that plenty of MMO players, myself included, love to do. There’s something really satisfying about creating one character that specializes as a medic, one character that specializes as a tank, and one that specializes as a technician. The way that The Division pulls this off may be more friendly to its target audience. However, I can’t help but feel that the game’s overall tendency not to ask the player to really commit to anything actually cheapens the value of character customization in a few ways – that being said, this could easily just be a point of personal preference. What I didn’t expect from The Division was its story. The game hasn’t, as of yet, tried to sell an incredibly dense overarching narrative to me, and that’s totally okay. What makes The Division’s story surprisingly interesting is the fact that, instead of trying to sell me a massive plot arc, the game is absolutely full to the brim with small stories. Whether it be some of the phone messages that you find as collectibles around New York or the small videos that you get as you complete missions, the game has really managed to sucker me into caring about its story. For those who haven’t heard, The Division’s story revolves around a plague of man-made smallpox that was put onto bank notes during Black Friday and spread around like wildfire. Fast forward to the time of the game and New York City (Specifically Manhattan) is a shell of its former self, with those who are still alive living in absolute squalor and looters running rampant. The players control agents of The Division, a group of Government sleeper agents who were “activated” as a last resort to contain the disease and take back Manhattan. As you can imagine, the game has tons of stories to tell about people who lost their families, got stuck in the city, killed by looters, or were otherwise wiped out in a state of pure panic. Ubisoft Massive hasn’t wasted any expense telling the stories of these citizens, and they’ve even managed to make a few interesting characters that manage to stand out from that mold. Noted highlights, the cynical yet still somehow upbeat woman who helps run things in your base of operations, or the television-actor-turned-soldier who runs one of the game’s safe houses. While The Division doesn’t seem to have any of the deep lore that Destiny fans enjoy, it manages to tell a pretty vast array of good, human stories – this is something that can’t be ignored. 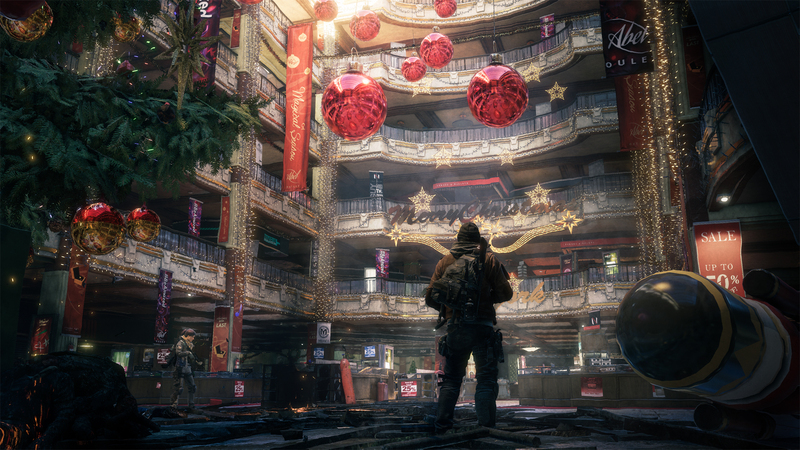 The place where The Division really seems to shine, though, is the Dark Zone. This abandoned part of Manhattan is extremely dangerous, and it also happens to be where all of the best loot in the game is. In the Dark Zone, players are all capable of “going rogue” – in other words, disavowing the Division and murdering other players to steal their hard-earned loot. To make matters worse, the Dark Zone is still “contaminated” by smallpox, as the local authorities have decided to abandon it to the looters and “rogue agents” who run freely there. As a result of this contamination, any of the gear you get needs to be evacuated via helicopter – you can’t just carry it out with you. This is where the game really starts to get interesting – when you call for a helicopter to grab your sweet new loot, everybody in the area is alerted, and while most of the people who come just want to share the helicopter with you, you never know if somebody might have some evil intentions. Standoffs at the helicopter happen often, with two or more people all staring each other down while they wait for the helicopter to touch down, just hoping that nobody gets any clever ideas so they can all evac their gear in peace and go about each other’s business. Similar events happen whenever you run into somebody in the street just going about your business. There’s always a brief bout of panic when you see someone, trying to decipher their intentions (and if you see that they’re carrying some loot, you may get tempted to go rogue yourself and try to ruin their day.) This dynamic is something that’s only ever pulled off in smaller games like Rust and DayZ, and seeing it pulled off so well in a high-profile game like The Division is so incredibly refreshing. I’ve gone rogue a couple of times, and I can safely tell you that it’s been the most heart-pumping experience I’ve had in a game in a long time. When you get marked as rogue, you suddenly appear on the minimap of local players, and are marked with a big red skull on your head. It seems so far to me that it can only go away if you’re out of combat for a certain amount of time. So, if you want to get away with going rogue you’re going to need a speedy escape plan ahead of time, and a place to hide while it blows over. These moments in the Dark Zone are incredibly fun whether you’re rogue or not, and it’s made better by the fact that it’s all dynamic – you’ll have a story to tell every time you go into the Dark Zone, because it’s all emerging out of the actions of players. I’ve not had a chance to play The Division with any friends yet, but I can only imagine that this would be an experience for the ages. The long and short of it is this: The Division seems like a really good game so far. With that statement out of the way, I want to make clear that I am pretty concerned about the game’s future. While Destiny was able to rely on extremely good raiding content and a strong core gameplay loop in order to keep players coming back forever, I don’t yet see how Division is going to retain players going forward. Raids are going to be coming soon to the game, so a whole lot is riding on them being good if the game wants to have any sort of “end-game” and keep its community entertained until the sequel. As fun as The Division is, if it fails to keep players engaged for an extremely long time, it will have failed in becoming the true MMORPG that it’s definitely trying to become. I’ll be doing a full review of the game once there’s been enough time to sink in and get truly acquainted with every feature. When that comes out, I’ll try and tackle the issue of longevity again – I truly do feel that it’s the biggest thing that this game has to prove, and there’s definitely a significant doubt that it’s going to be able to pull that off. Over the past couple of days with the Division it’s been hard for me not to fall in love with this game’s unique combat and satisfying RPG elements. It would unquestionably be a shame for it all to be for nothing because Ubisoft fails to put in enough content to make players keep coming back and enjoying New York City day after day. 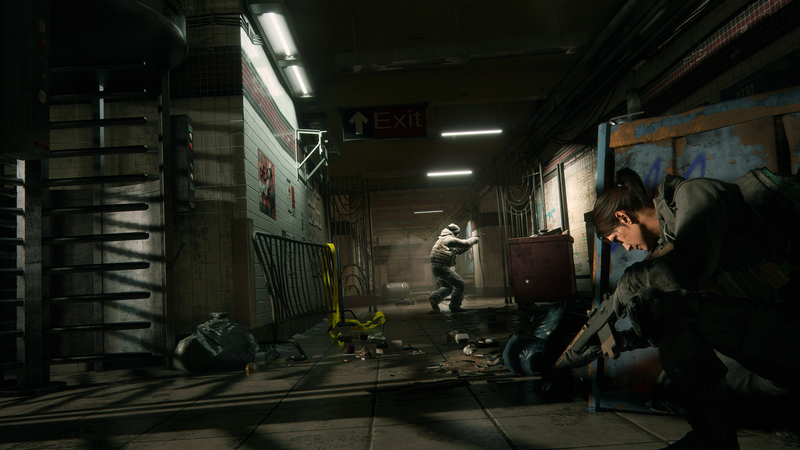 What do you think of The Division so far?